Costco members will be getting a new credit card next year. The wholesale superstore chain has chosen Citigroup to succeed American Express as its exclusive issuer of co-branded cards in the U.S.
Costco said last month that it would be ending its relationship with Amex after the companies were unable to reach agreement on a renewal. 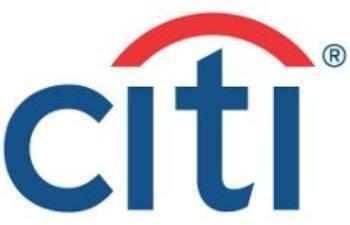 There had been speculation that Capital One would snag the account but Citi apparently offered a sweeter deal. The new arrangement takes effect April 1, 2016, when a co-branded Citi Visa card will become Costco's exclusive card. The deal is actually two deals -- one with Citi to issue co-branded cards and the other with Visa to provide the payment network. American Express operates both a credit card company and a payment network. Citi will be buying the existing portfolio of co-branded cards, Costco said in a statement. "Once issued, Costco's co-brand Visa credit card would provide generous rewards to Costco members, serve as the Costco membership card, and would be accepted at Costco locations in the United States and Puerto Rico, as well as all merchants worldwide that accept Visa credit cards," Costco said. "Costco will provide its members with additional information in the coming months regarding the anticipated transition from its existing co-brand credit card program," the company added. So does this mean Costco customers will be required to have a Citi-issued Visa card? Probably. Costco said the Citi Visa card would serve as customers' Costco membership card. It might, however, be possible to use a different Visa card to pay for purchases. The companies haven't yet made that clear. Currently, customers can use any American Express card -- not just the Costo/Amex co-branded Visa card to shop at Costco, presenting their Costco membership card at check-out. Currently, customers can also use MasterCard and Visa debit cards at Costco. Anyway you look at it, it's bad news for American Express, which has said that the Costco account amounts to about 20% of its business. Analysts said Citi would make about $100 million annually off the Costco account. Amex has been struggling to hold onto market share, while also trying to find ways to encourage its cardholders to put more of their purchases on the card. Its large portfolio of affluent customers makes Amex the biggest U.S. credit card issuer in terms of dollar volume. In other words, American Express has fewer cardholders than its biggest competitors but the customers it does have tend to be big spenders. 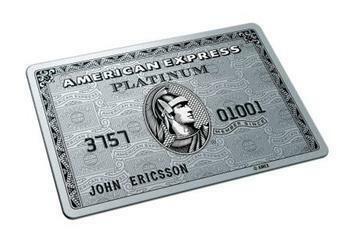 Amex said last week it would sweeten the deal for its Premier Rewards Gold cardholders. “We’re making one of our most popular cards even better. This latest investment for our Premier Rewards Gold Card Members is designed to deepen our relationship by providing more value in the areas they spend most -- from everyday spending on things like gas and groceries, to dining and larger travel purchases,” said Lisa Durocher, Senior Vice President, Consumer Charge Cards & Benefits at American Express.